On Wednesday, September 7th in Portland, OR, Oregon Home magazine held their first ever Structure + Style statewide awards contest. This event marks the path to a much greater vision for the home industry and our role as the leading statewide shelter magazine. After the classic mingling, networking and imbibing in Oregon Home fashion, attendees were ushered into the grand auditorium space of Revolution Hall. Editor, Snow Blackwood spoke of her vision of the magazine and of this event as she expressed her feelings on word “home" and what it means to preserve and identify the unique Oregon home aesthetic that is so sought after right now—and not just in Oregon—but across the nation and even the world. Blackwood aims to evoke the “feeling of home” in each issue with added content on food and local art and by covering projects that are unique to Oregon with a focus on the architect, the designer, the builders and the remodelers behind each project. The excitement in the room built as Steve Frazier of Contract Furnishings Mart announced the nominees and the winners. We raise our glasses to all of you who attended the first awards event and to those of you we see next year! First up are the building awards. 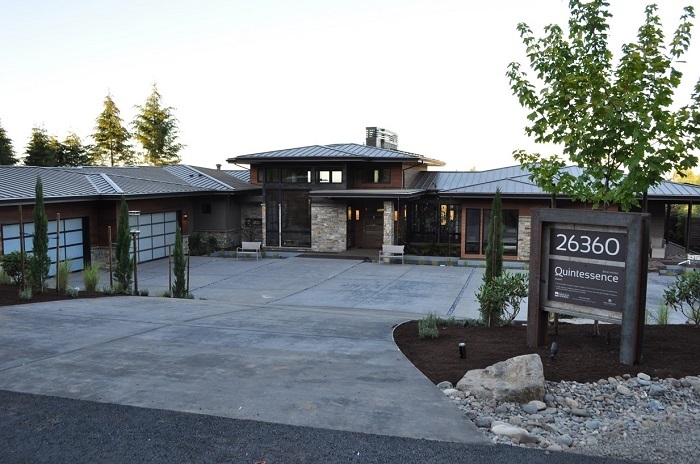 Nominees: Lifestyle Homes Oregon, Ostercraft Homes Inc.
Modern, unique and architecturally equivalent to the main home, yet thoughtful and unparalleled in design and construction. Meticulously clean lines flow smoothly from the interior to the exterior, and across the pool deck of the home. This ADU with its open main floor provides a true freedom from confinement and a strong connection to the outdoors. Built with an aesthetic toward an efficient use of space, these spectacular new designs feature distinguishing pops of color, an abundant use of glass and low pitched roofs. This type of structure allows you to live in the modern era where minimalism is a hit, comfort is a plus and an abundance of glass evokes elegance. High end finishes and quality products abound in this home. Nominees: Cellar Ridge Construction, Lifestyle Homes Oregon, Noyes Development Co. 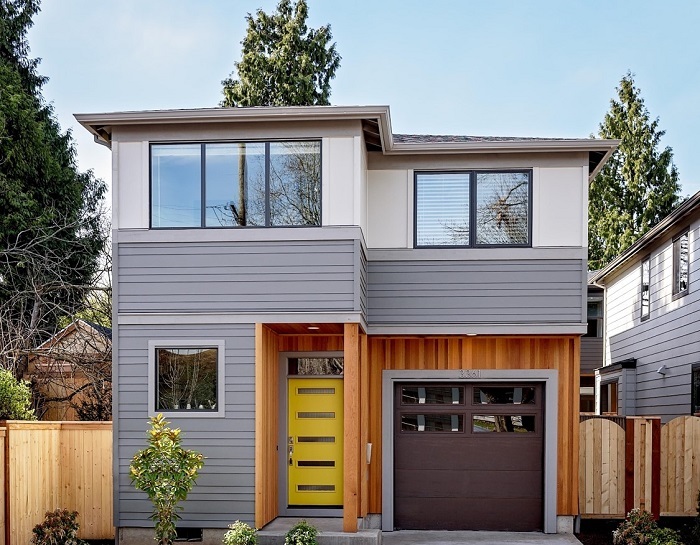 This modern exterior borrows elements from its neighbors, from stained cedar and stone veneer to a corrugated aluminum alloy for a unique blend of materials that create a truly exciting curb appeal. Meanwhile, the interior boasts highly energy-efficient upgrades like a tankless water heater, high efficiency furnace and high-efficiency insulation, exhibiting the importance of sustainability in the region. 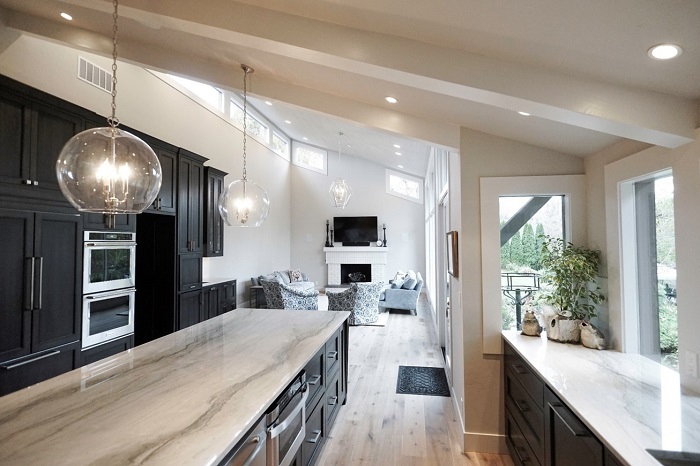 Wire brushed oak Floors, vaulted ceilings with exposed timber collar ties and rafters, detailed millwork, painted cabinetry with solid granite and quartz counters as well as clean porcelain, marble & ceramic tile packages gives the home a modernized yet elegant and timeless fit. Carriage Garage Doors, a steeped pitched roof with gable ends, hand crafted wood shutters convey a pure farmhouse setting. Taking a nod from an East Coast vacation home on Nantucket, this stunning home has everything you need in a family home. The materials used in this home were chosen for their quality and value, resulting in a luxurious home that will stand the test of time in both design and aesthetic. The backyard is also nothing short of impressive with expansive outdoor covered living. The builder worked from the initial sketches and concepts to create a striking, minimally-framed dwelling that exudes openness. They incorporated dramatic expanses of glass; all while keeping the home’s efficiency, coziness and the highest quality of construction intact. This beautiful home is 6,275 sq. feet with EPS estimating that the monthly energy costs for the home will be as low at $200! Up Next are the Remodel Awards! 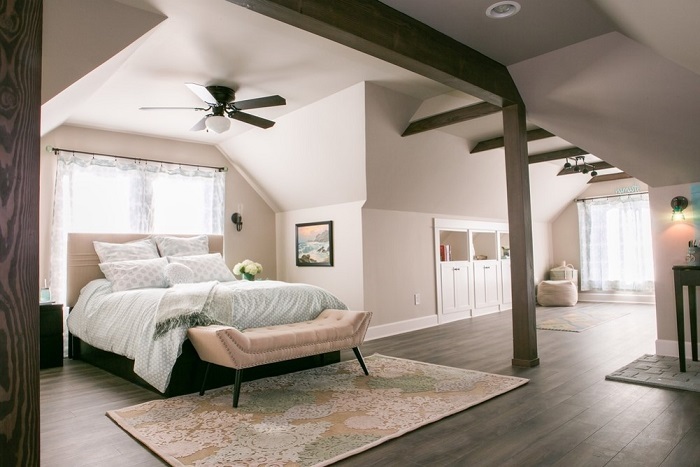 This project created a second story master suite by adding a dormer to a beautiful 1911 Craftsman home. We matched the existing architecture while expanding on its function; adding plentiful storage, accessible features, and modern amenities. Great care was taken to preserve existing trim and siding to reincorporate in the build. This seamlessly blended new and existing construction. 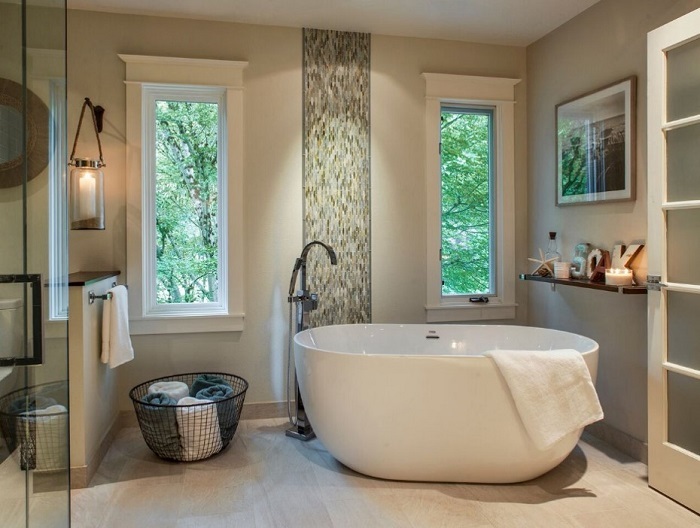 This master bathroom went from crowded and inconvenient to spacious and functional. 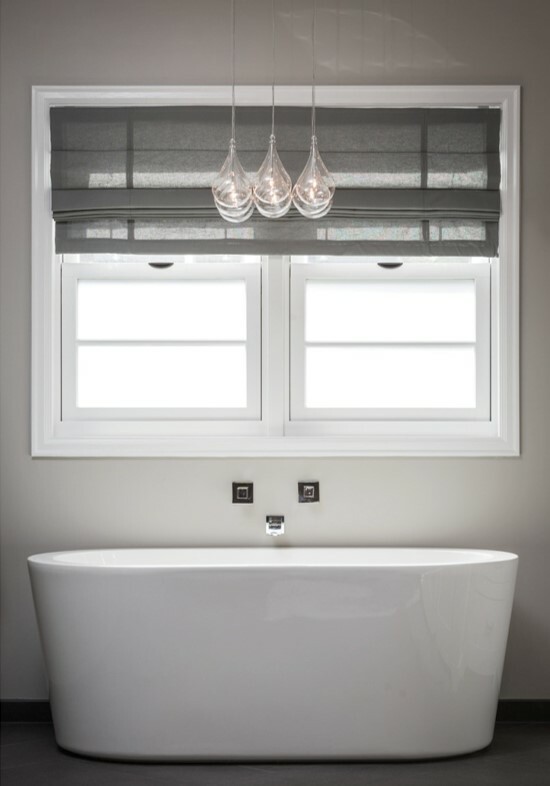 By reconfiguring the upstairs layout, the master suite was slightly enlarged by bumping out a wall and swapping a single sink for double sinks and a small corner shower for a luxurious spa-like bathtub. Its crisp, cool color palette makes it an inspiring space to start and end each day. 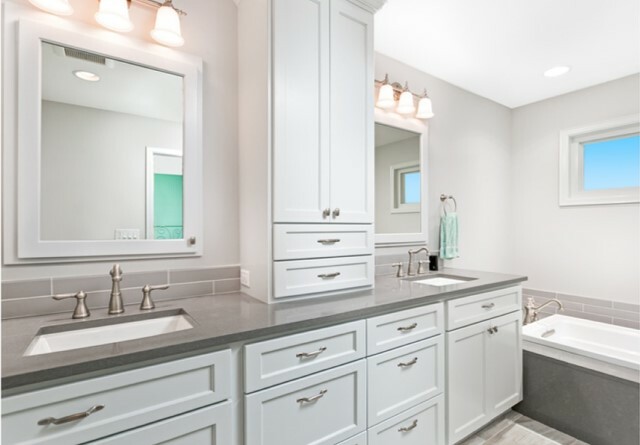 This master bathroom was remodeled to look beautiful and be completely ADA compliant and wheelchair accessible so the homeowner could care for himself independently. They worked with the Department of Veteran’s Affairs for a year on the detailed planning required to pass the strict VA loan requirements. A neutral color palette and warm toned cabinetry add an elegance to the universally designed space. This project created a second story bathroom by adding a dormer to a beautiful 1911 Craftsman home. They matched the existing architecture while expanding on its function; adding plentiful storage, accessible features, and modern amenities. Great care was taken to preserve existing trim and siding to reincorporate in the build. 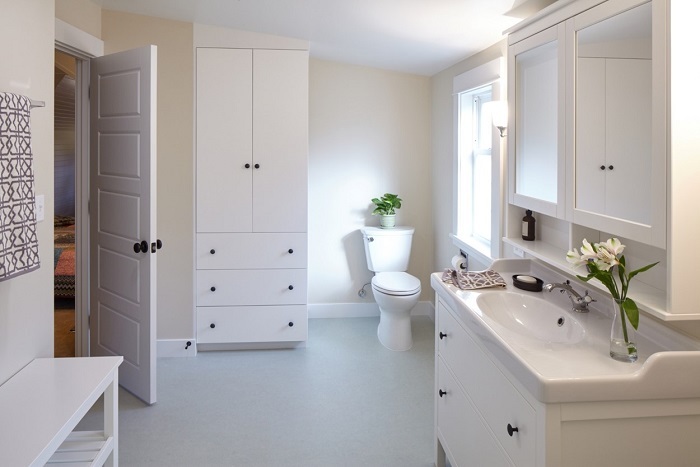 The team created a light, clean, airy bathroom built for comfort, ease of use, proper storage and flow. 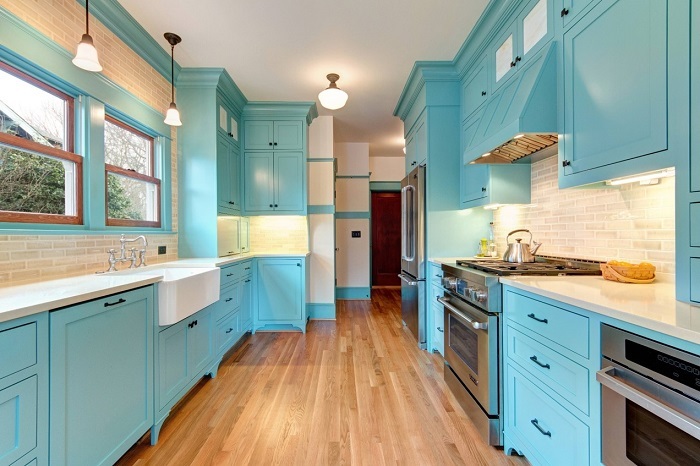 This 1916 Bungalow kitchen had already been remodeled multiple times throughout the years. The appearance of the kitchen was achieved through the cabinet and space planning performed by the general contractor and the color coordination and tile selection by the owners and the owner’s interior designer. The home owners now have a stunning, time period appropriate kitchen with modern creature comforts every cook will love. After these clients became empty nesters, they considered moving but decided to remodel their 2000s home since it had positive equity. With all of the custom cabinetry and storage solutions, this kitchen is all about the details. The space is completely maximized to function for the homeowners. Everything has its own place. Custom storage was created for spices, liquor bottles, KitchenAid stand mixer, Keurig cups and recycling bins. This project included the following modern features; an added master suite, open floor plan, much better natural light, better traffic flow, exhaust ventilation, classic wallpaper and finish details that transform them from utilitarian areas to featured spaces within the home. 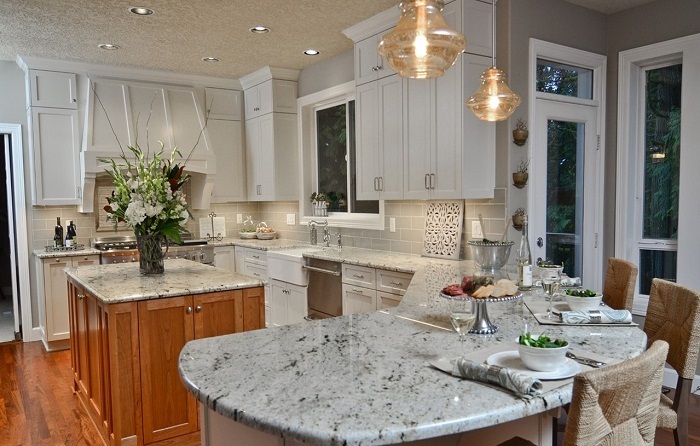 Quartz countertops evoke period marble without maintenance issues to worry about. A wall of subway tiles enhances the feel of a turn of the century kitchen. They took this home from 1,476 sq. ft. to 2,476 sq. ft. by adding an upper story. Upstairs gained a master suite, additional bedroom and bathroom, hall closet and stackable washer and dryer. They also enhanced energy efficiency by replacing all windows and installing a new HVAC system. While the period charm was kept, the home now has beautiful and functional spaces to be proud of. 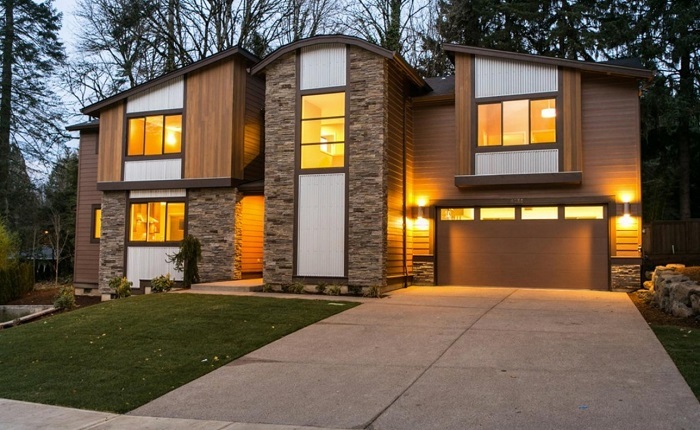 This remodel began as a dated Northwest Contemporary home, but held plenty of design potential. Centrally located on a private lot in Eugene near bike paths and waterfront we transformed the interior into an updated space with modern amenities while complementing the home’s vintage aesthetics. 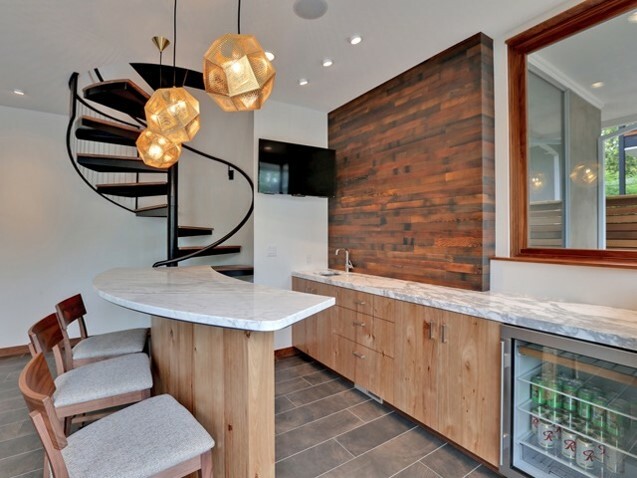 Sleek custom designed and stained cabinetry, assorted ceramic tile and custom metal railing added a contemporary edge. What started as a simple decking project turned into a complete front porch rebuild that included adding support for the entire front of their home. Using historic photos, stories from neighbors, and surprises that were un-earthed during excavation, the entire porch was redone to bring the house back to life. The end result was a facelift to the entire front of the house that increased the value tremendously. Up next are the Design Awards! 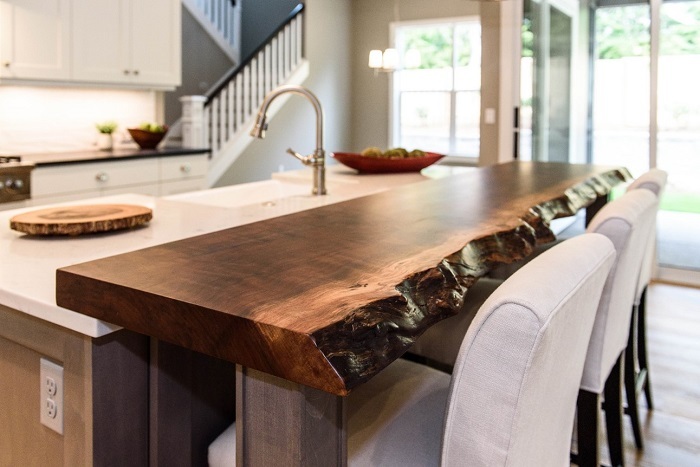 This handcrafted, unique design combines rustic materials and finishes with clean modern form. 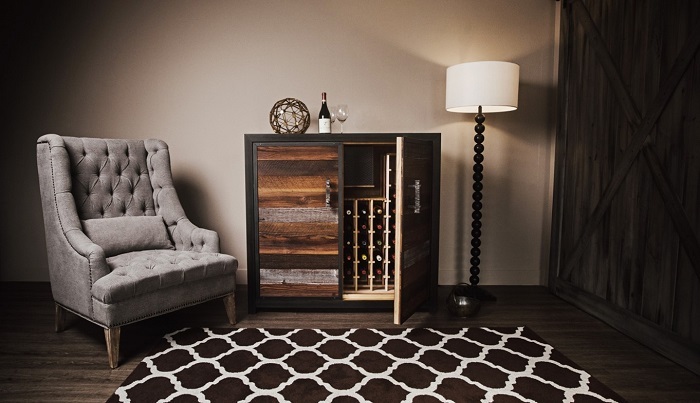 The Sommi Credenza is the perfect wine cellar for a small space. This one of a kind design utilizes reclaimed barn wood from central Oregon, where some of the wood is up to 100 years old. These cellars are beautifully designed to store your wine collection for years to come. This companies founding principle is to offer modern design, with a Northwest flair working with terrific materials, at an affordable price. This project is all about modern living. 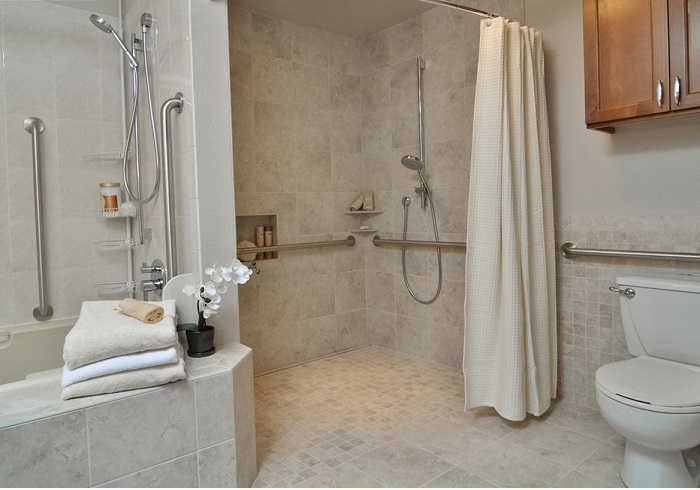 The design is essentially two large rooms with a bathing and laundry in between. 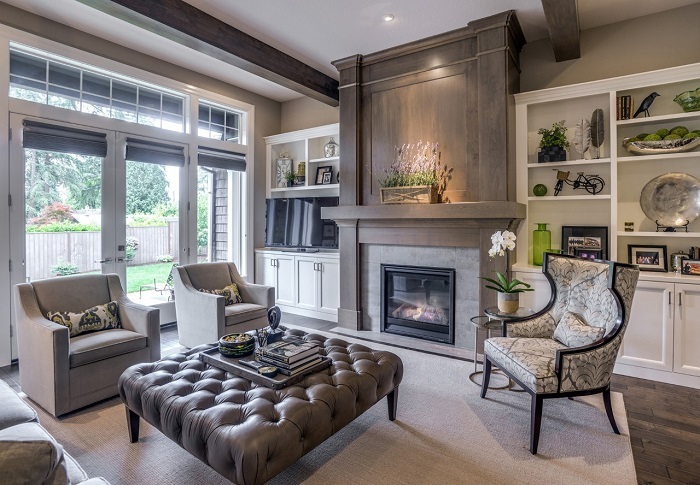 Every space offers ease of movement, room to breathe with high ceilings. Materials are selected for long life, resource efficiency, and modern style. 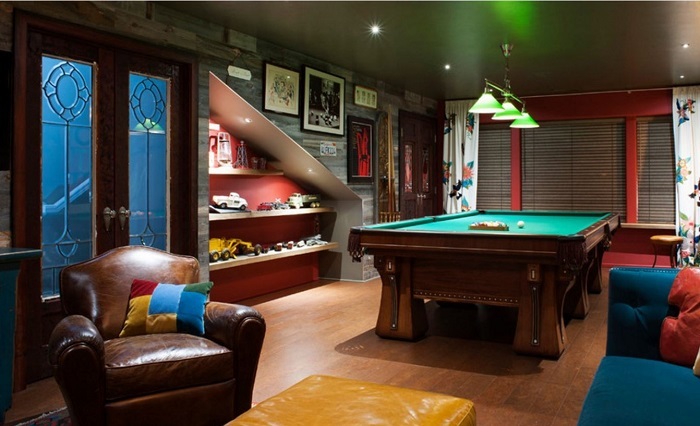 This project started with one simple request, “Design a room for this antique pool table.” The table was a turn of the century beauty and we wanted to not only feature it but create a room that expanded upon its uniqueness. They embraced the darkness and transformed it into a sophisticated hideaway. Taking advantage of every inch of space they could get, including under the stairwell. They transformed the unfinished attic of an 1893 Victorian house into a serene master suite for a busy twenty-something first-time homebuyer. One important aspect of the project was leaving enough room for yoga sessions—the homeowner is a frequent practitioner. The theme of the space is “Yoga-Zen.” The post-and-beam arch was inspired by the Duogong wooden bracket architecture of the Chinese Song Dynasty. This circa 1985 master bath began as a collection of three small rooms (with three doors!) and a secret passage through the attic. When completed, this master bath was utterly unrecognizable. 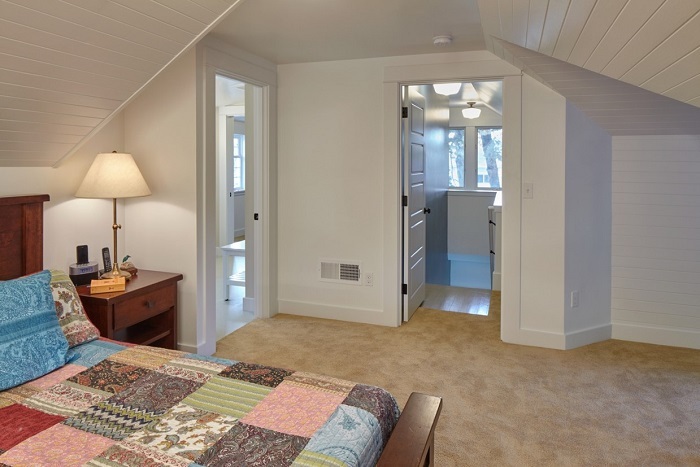 Creating one large space and incorporating the awkward attic area allowed the size of the room to increase significantly, creating a true master bath retreat. They fully gutted and renovated this craftsmen kitchen. 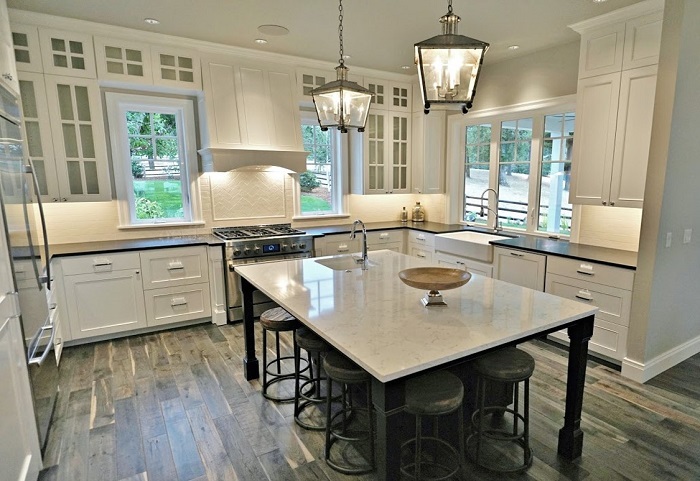 The owner is a professional chef and wanted butcher block countertops throughout. 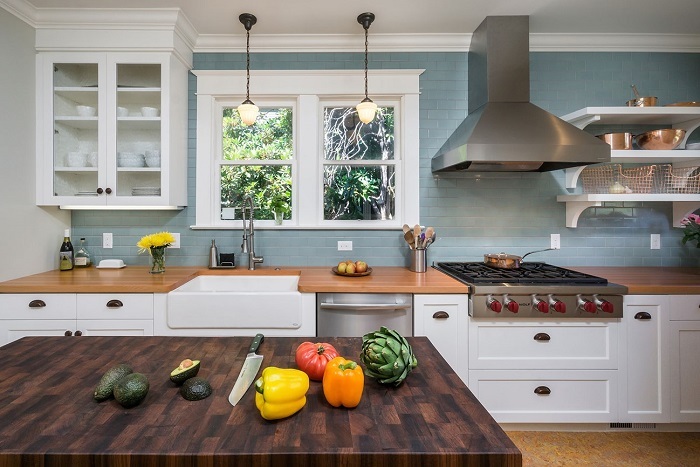 She wanted a professional kitchen that still maintained the craftsman feel of the original house. Most finishes were supplied and/or made in Oregon: the tile is Ann Sacks, the countertops are Green Mountain Wood (Talent, OR) and cabinets were locally made in Portland. 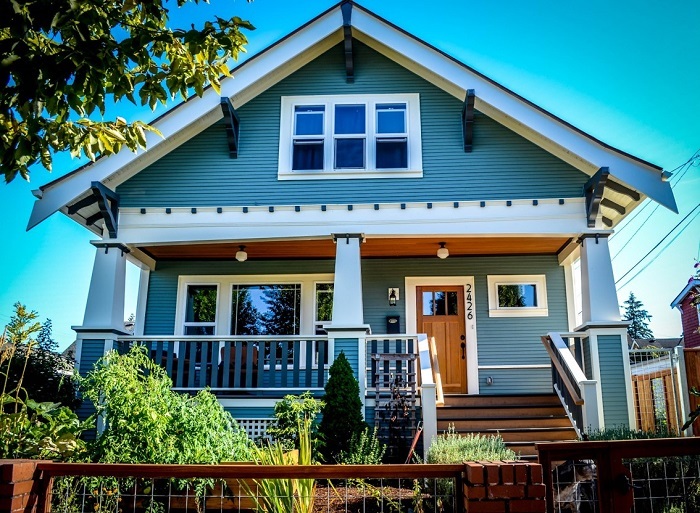 A bungalow style in the heart of downtown Lake Oswego designed specifically to fit with the quaint urban housing patterns around its location from years past. Using neutral colors and materials, we thoughtfully integrated each component to work harmoniously. The simplicities of form, detail and most importantly good proportion are always a critical recipe for a balanced design. For us, each element must speak to the project as a whole. 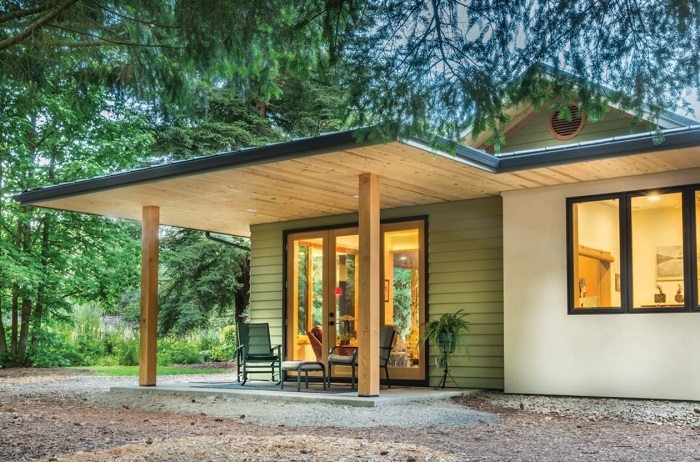 They created a home that shielded from farm stand traffic and noise with an insulated concrete form to provide the thermal mass and protection. The design evolved with staggered stud framing and ample glazing on the southern exposures for views framed by cedar trees. 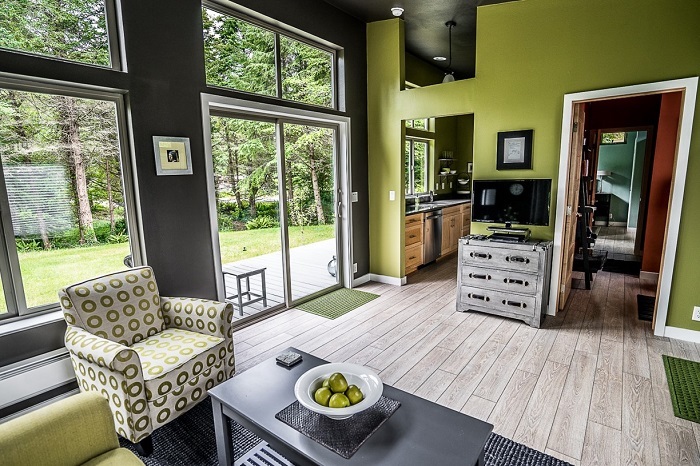 This is a passive solar home with an enhanced heating/cooling strategy. This was an old home that went from a remodel with revealed structural inadequacies to a controlled burn by the fire department to a renewed, better designed and better built home in the same location with the same farmhouse character, perched atop an impressive 34 acre property. The juxtaposition of modern-day materials paired with historic and rustic touches was our core design approach for the interior. 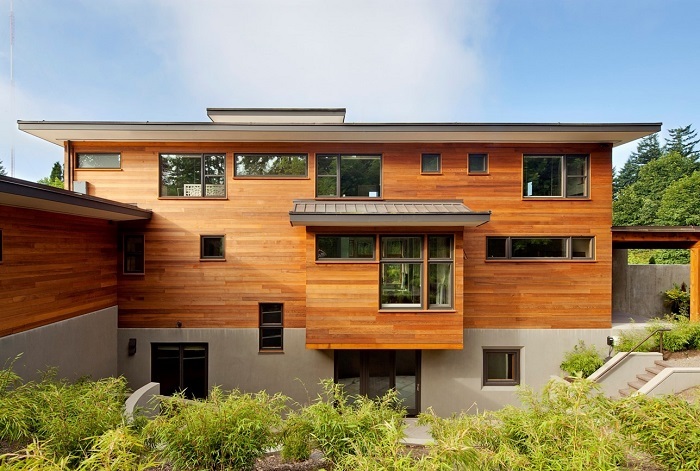 The Skyline Drive residence synthesizes natural elegance with sustainable living on a rural-feeling site within close proximity to downtown Portland. The home is designed for an abundance of sunlight, minimal energy consumption and an abundance of visual connectivity to the surrounding landscape. It is on the path towards being net-zero-energy in that it is engineered to generate as much solar-electric energy on-site as the home consumes annually.